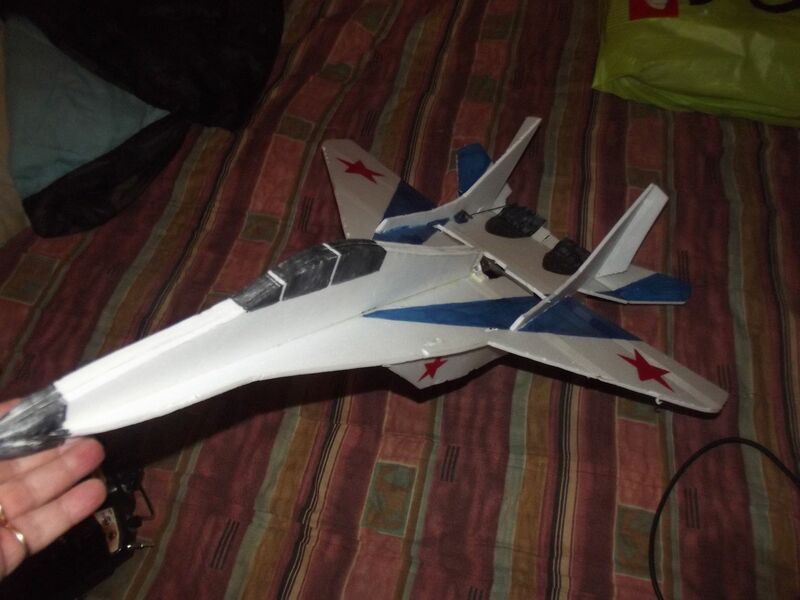 Just knocked up another Mig 29 in 6mm Depron ..... stiffened with 2mm CF rods. Fuselage where G&G uses two foamboard sandwiched ... I used 3 Depron ... and then thinned where tabs engage matching holes. Funny enough my 6x6 prop was just a touch big ... so I must have made slight error in tracing / cutting. No worries ... 5x5 will be fine. I altered servo position ... cut slot bigger and fitted 6x6 prop ... so back to 3S but I can always swap out to 6x4 and use 4S ..
Looks great Nigel. 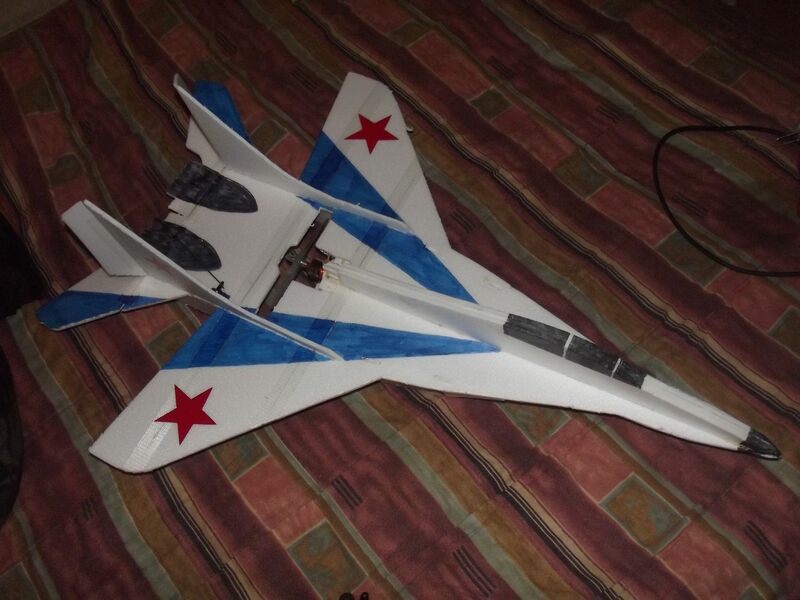 Linked my neighbor to this thread, he's getting into making planes out of foam board. I'd draw up plans - but I have no way to scan and digitise. For the price of the G&G planes - worth buying the kit ... then do as I did : Trace round the parts onto card or thin board. I used 3mm Depron. Depron scratch version weighs in at 253gr + battery !! The thrust on 4S is WOW !! I can't wait for weather to break and I can get out there with it ! !